Police are looking for a man they said used his SUV to break into a Pease Avenue Indian restaurant early Thursday morning. 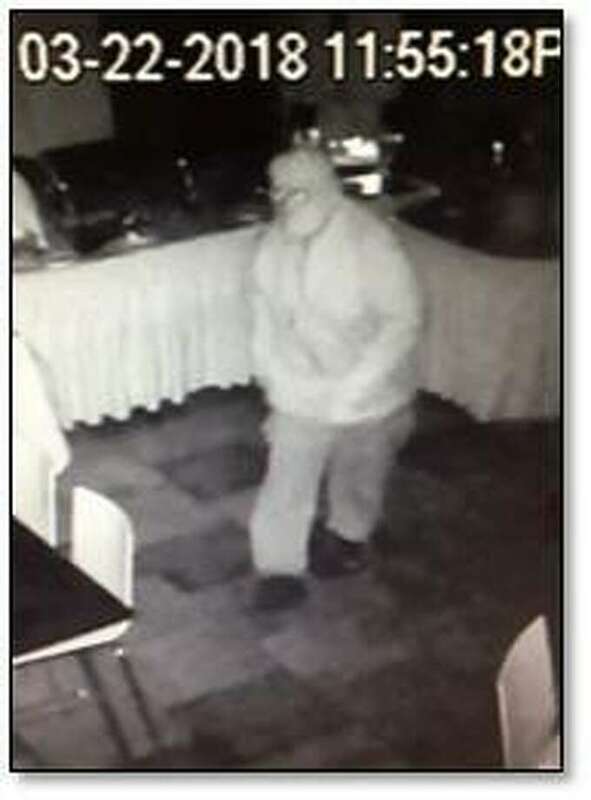 FAIRFIELD — Police are looking for a man they said used his SUV to break into a Pease Avenue Indian restaurant March 22. The suspect, described as white and heavyset, allegedly backed a white SUV up to the door of Coromandel around 12:30 a.m. Police were alerted to the break-in by an automatic alarm. When they arrived at the scene, glass shards were still falling from the broken front door. Video surveillance showed the man climb over the bar and grab the cash drawer from the cash register. He then left, but quickly returned, holding a flashlight, before leaving again. His vehicle left west on Pease Avenue. Police said the thief was wearing a ski mask, latex gloves, cargo pants and black sneakers and may walk with a limp. An estimated $2,000 was in the cash drawer, and the damaged cash register, which was found on the floor, is valued at $2,400. The damage to the front door is estimated at $3,000. Anyone with information is asked to call the Detective Division at 203-254-4840.